If you’ve joined the Crypto-ML Free Membership tier, you may be wondering how to best maximize the information you receive from it. This post will walk you through different ways to use the tools available. What does the Free Membership provide? Fundamentally, Crypto-ML’s Free Membership gives you the big-picture view of the market. As with any undertaking, it is critical to have the big picture prior to developing actionable tactics and strategies. Whether you’re an investor or a trader, the Free Membership will give you big-picture value and aid in your day-to-day decisions. This video covers an overview of this post. You may watch the video or read below. 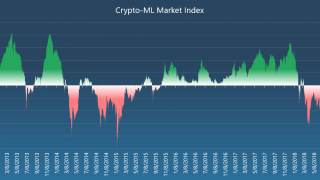 What is the Crypto-ML Market Index? The free membership primarily gives you access to the Market Index. 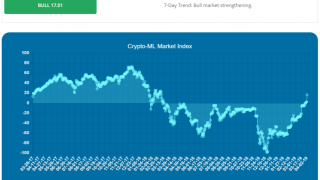 This index provides a quantitative perspective on crypto market sentiment. It is available as part of the Free Membership on the Member Dashboard. See the details of how the Crypto-ML Market Index works. 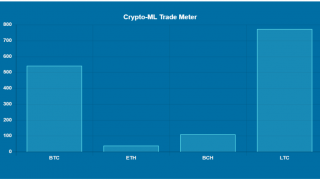 Our machine learning models evaluate a variety of factors across the crypto supported by this site, including Bitcoin, Ethereum, Bitcoin Cash, and Litecoin. This occurs once daily. Upon completion, an email update is issued to members. First, the indicator will explicitly notify you whether or not we are in a bull or bear market. The wording is reinforced by the color of the indicator. The indicator is derived from the index value: positive is bull; negative is bear. Next is the index value. In the image above, it is -60.1. This value will swing between -100 and +100. In certain extreme situations, it can exceed these bounds, but that is fairly unlikely. As noted above, negative values indicate a bear market; positive values indicate a bull market. The more extreme the value, the more extreme the market. Last, you’ll see whether or not the current status is strengthening or weakening based on behavior over the last seven days. How do I best use the Market Index to trade? As a trader, the answer is fairly simple: the data shows you should trade with the market. Or said another way, swim with the current. This means taking long trades during a bull market and short trades during a bear market. 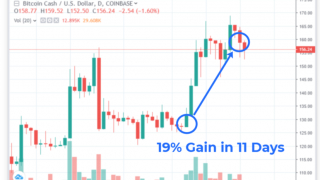 Please see our Trade History page for more information on the results of this strategy. As we discuss in this post on Short Selling with the Market Index, in a downtrend, the math must favor short sellers. It is a downtrend precisely because the down moves are larger than the up moves. 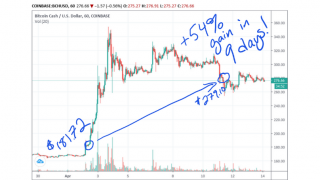 Likewise, the math must favor long traders in an uptrend. If you are on the Free Membership, you can utilize your own trading strategy in concert with the Market Index. If you are on Trader Membership, you can utilize Crypto-ML’s machine learning signals in concert with the Market Index. As a long-term investor, how can I use the Market Index? As an investor, the answer is a little more complex. Each investor has different goals and different timelines. If you are interested in the long-term value of crypto, you may decide to accumulate counter to the market. Said another way, if you believe in fundamentals that will drive price up in the long term, you may want to buy when everyone else is panicking. Utilizing the Market Index, you may, therefore, decide to buy when it hits extreme negative numbers. You may also choose to sell when it hits extreme positives. What is the value of the Free Membership? Based on the information above, you can see that the Market Index provides the big picture view. And it’s critical to know the big picture before you get into the details. This applies whether you act as a trader or investor. Speaking personally and for the rest of the team, I can say that more than anything, the Market Index helped me preserve the gains I made in 2017. At extreme positive readings, I was able to move the majority of my holdings to cash and take caution with my trades. I feel extremely fortunate to have had this measure at my disposal. As the Market Index began accelerating downward, it became obvious we were in for a major trend reversal which persisted through 2018. As a result, the Crypto-ML team doubled-down on enhanced machine learning technologies now deployed as Auto-ML and Short-ML. Is the Market Index a lagging indicator? The Market Index is based on an accumulation of sentiment and changes over time, so yes, it is a lagging indicator. For example, looking at the chart above, you can see after the price peak at the very end of 2017, it took a while to cross into the negative where it has stayed since. That said, the Market Index can provide immediate insight based on the slope. Again looking at the chart, what did change right away was the slope of the Market Index. It began dropping very rapidly after the peak of 2017 and then ultimately confirmed the markets officially moved into a bear status. How do I sign up for a Free Membership? If you haven’t already, you may sign up for Crypto-ML’s Free Membership. 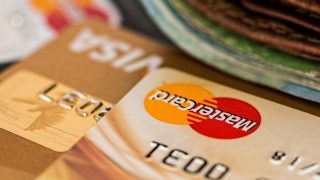 No credit card needed. This will allow you to get started with the Market Index and Learning Center right away. How can I upgrade to the Trader Membership? If you’re ready to get going with the Market Index and also trade alerts, sign up for Crypto-ML’s Trader Membership, which is free for 30 days.